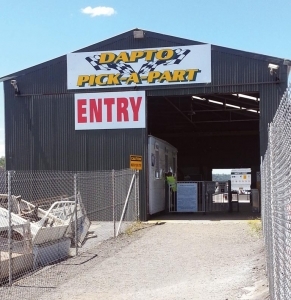 Dapto Pick a Part opened in September 2008. 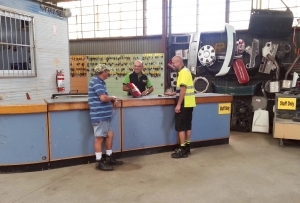 The Franke family had been running a successful metal recycling yard in the northern suburbs of Wollongong for over 30 years, when Michael Franke decided to pursue his love of cars and start a dismantling business in Dapto, just 5 minutes south of the city of Wollongong. The business operates on 10 acres of beautiful South Coast land. 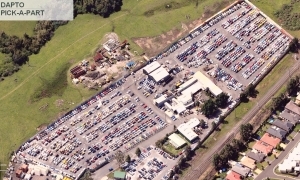 On opening day in September we had a stock of 1000 cars on the lot and 5 staff members. In the early days we concentrated mainly on the self serve yard, but in 2009 we expanded to a new trade office with 2 salesmen dedicated to cater to the smash repair and wrecking yard industries. We operate a free delivery service for our local customers, that runs twice a day. We also have a delivery run that goes as far south as Ulladulla, to cater for our South Coast Customers. 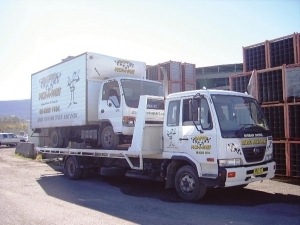 We also run a third delivery truck to Sydney twice a week, for pick up and drop off of parts. We also send parts to every state in the country. We buy late model stock from the auctions and have our own tilt tray for pick up of vehicles in the Illawarra area. In the last 5 years we have purchase over 8000 vehicles of all makes and models. Some go into the self serve yard, others are taken to our trade section to be dismantled. In 2010 we purchased a Le Fort 500 shear baler that is capable of crushing and baling up to 100 cars a day. So when the cars have reached the end of their shelf life and have no viable parts left on them, they are crushed and baled and sent off for metal recycling. In 2011 we started construction of a new dismantling and inventory shed that is 1500 square metres. It houses 2 hoists where we have two full-time pickers dismantling the new vehicles as they arrive. Our dispatch area is also located in the shed along with 20 racks 2 stories high of inventoried parts ready to go. 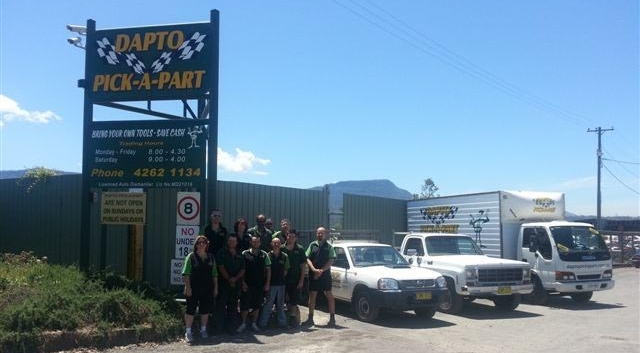 From humble beginnings and an idea from an avid car enthusiast the business has grown to employ 20 experienced full-time and part time staff, all experts in their field. 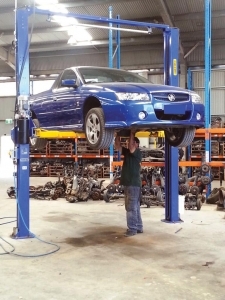 We are striving to bring a new experience into the car parts world, and our staff are our prime asset in creating a wrecking yard that caters to wider range of customers. It is no longer just for the experienced car buffs, we make it easy for the everyday man or woman to come in and purchase or order their parts, if they are not capable of getting the part themselves. We hope to continue to serve our customers the best we can, and keep setting and reaching new goals in the future and invite anyone who hasn’t already contacted us to give us a try.